For those of us who regularly enjoy reading, it can be easy to take it for granted. However, for some, books are a luxury, one that they may not have access to. When Amina Marix Evans came to this realisation she began brainstorming ways to help. She decided to start Borderline Books, giving donated books to those with limited or no access to books. 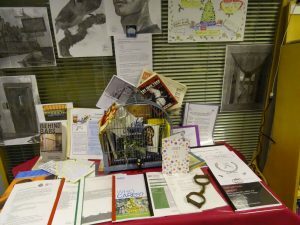 It’s now part of the Kittiwake Trust which also includes the Multilingual Library project. Having recently learnt about this book charity I had to know more, so I’ve asked Amina a few questions. Can you tell me how this all got started? The first project we started was Borderline Books and that actually started in the Netherlands. The first ideas were put on paper in the wee small hours of 11th of September 2001. As a literary agent I had tons and tons of books. I discovered that, sadly, not everybody grew up around books like I had. Everybody should have books, so, I started taking them to a refugee centre that had a library. What inspired the name Borderline Books? It’s for people who are living on the borderlines of society, in one way or another. Either they’re women fleeing from bad relationships, or they’re very low-income families, or they’re people who have just come out of prison. They’re people living on the margins. So, are these the people who receive the books? We don’t give to them directly, we give the books to organisations such as women centres, prisons, and many more. Our aim is to give away at least a thousand books a month. We do summer fairs where we give books away directly. These are generally in a very low-income areas. Children come up and look at the books and ask how much are they, and when you say they’re free their eyes get big and they ask how many they can have. The answer is often, how many can you carry? What are some of the challenges facing the charity? We actually struggle to find enough places to give our books to. We’re sort of always trying to find who we’ve missed out because people are always walking in and asking how come they didn’t know about us before. Another big problem is the prisons that say only family members can send books in. A quarter of the adult population in prison grew up in care homes. This means that they don’t have a family to send books in. A lot of them don’t even have any friends supporting them outside. That makes me really cross – it feels like the prisoners are being punished for not having a family. So, for us it’s a matter of pushing and writing letters to try and get the prisons to change their policies. So, it is generally down to the prisons that decide that kind of stuff? Mostly, yes, Amazon and Waterstones can send books in because they’re approved suppliers. But those books aren’t free like ours. When people write to us we try to pick up on something they’ve said in the letter. That way we can respond properly to every message. Sometimes we’ll send an extra book to help them through any difficult situations they might have mentioned. It’s about being able to treat people as human beings and write back to them. The thank you letters we get from people are absolutely lovely. Last year the charity focused on prisons. What is your focus for this year? We’ll be having a push on carers this season. We’re also working on our Dementia Project, where we lend carers of dementia patients old children’s annuals and other books about the life in the 50s, 60s etc, as well as some memorabilia, ceramics, or anything recognisable from that period. These are the only books at Borderline Books that we lend out for a month at a time. The carers can select books reflecting specific interests of the people they are looking after. This project is in its infancy but being received with joy from the Alzheimer’s Society and local carers groups. Last year Amina and her fellow trustees managed to give away over 14,000 books through Borderline Books. But that’s not all they do. They also run the Multilingual Library project. 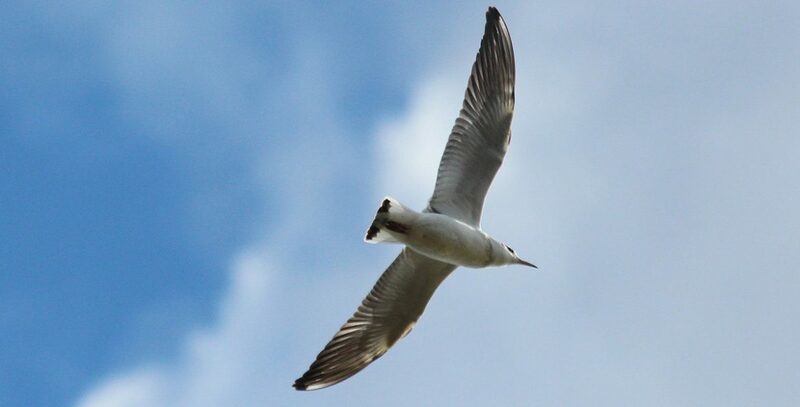 Check back next week to find out more about this newer branch of the Kittiwake Trust. Interested in supporting Borderline Books? Spread the word! Organisations that support vulnerable people can get free books! Click here to learn more about volunteering, book donations, and more.